SMOOTH OUT YOUR RIDE AND LENGTHEN THE LIFE OF YOUR TYRES!  No weights to corrode or damage expensive rims.  No dusty, messy powders to deal with.  No weights to fall off.  Saves you money by extending tyre life!  Saves you money by eliminating rebalancing!  100% solid, high-density Ceramic.  Impervious to moisture, wont clump.  Re-usable, wont grind down.  Special air drying tools not necessary.  Totally compatible with Nitrogen.  Wont damage or interfere with Cats Eye, pressure balancing or TPMS systems.  Have a low coefficient of friction and react quickly to balance changes.  Are over 150% heavier than powdered media, 60% heavier than glass media. The smaller the volume in your tyres, the more efficient the product is. Easy to install, they are can be used with tubes or tubeless tyres and are effective even for scooters. 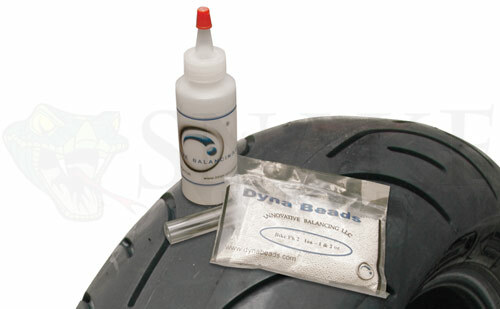 Dyna Beads are 100% enviromentally friendly ceramic, impervious to moisture, and non-abrasive to inner liners or tubes. No special air drying is needed, and Dyna Beads can be installed at the time of tyre mounting, or after, through the valve of the stem. 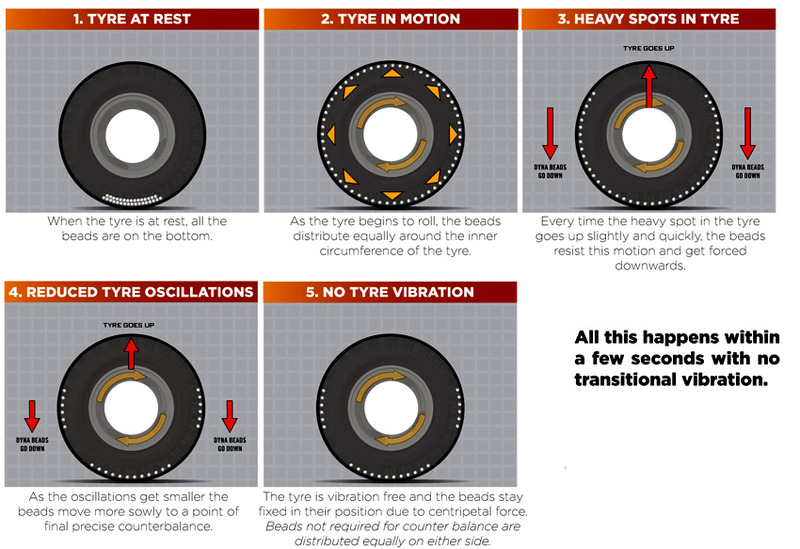 STEP 1: See what weights your bike's tyres take on the chart below. 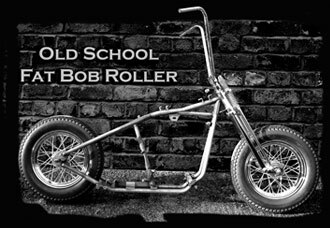 *Tubed tyres and tyres already fitted onto the rims will need an applicator. STEP 3: Buy the kit. Hi, just to let you know I have just had both new tyres fitted to my Thunderbird 1600 and have put in the Dyna Beeds and its great smooth as a babies bum and no more stick on weights on my chrome wheels what more could I ask for. Great bit of kit from now on will be fitting to all my new tyres.